Not only can good roller/out-feed stands make awkward tasks easier, they also make the tasks more productive, and more importantly, safer. But just as good out-feed stands can be helpful, bad ones can slow down production and even become dangerous to use. 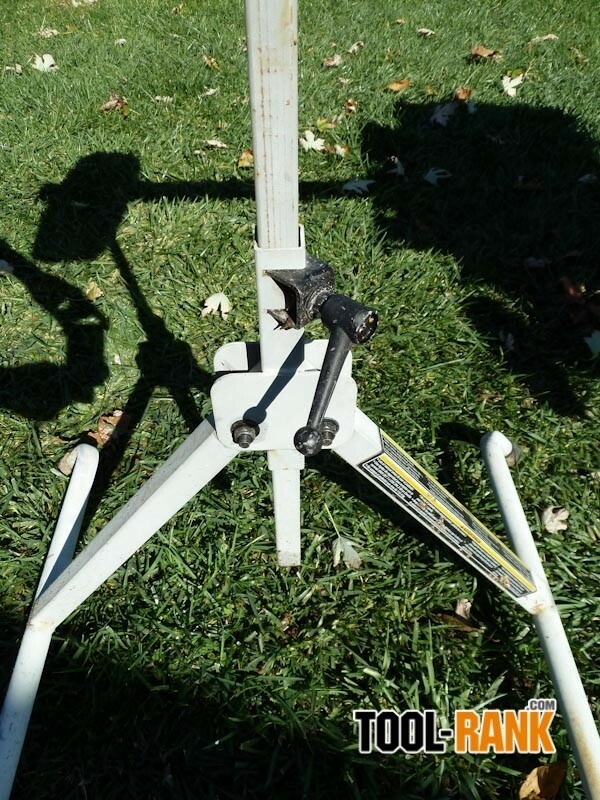 I have been using a Ridgid Flip Top stand for a number of years now, but it was on the first day that I realized that Ridgid had something special here. 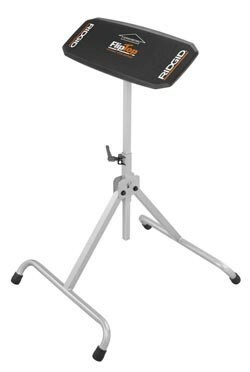 Unlike most support stands on the market today, the Flip Top does not use any type of roller mechanism, and instead uses a smooth flat plastic table top. The problem with single-roller type stands is that the material can only move in a straight line; so if your stand is not exactly perpendicular to your work piece, it can cause all kinds of problems when you try to move material over it. Multi-ball style supports also have a few problems of their own; the bearings can become jammed up if not lubed up and the lube can transfer onto your expensive moldings. 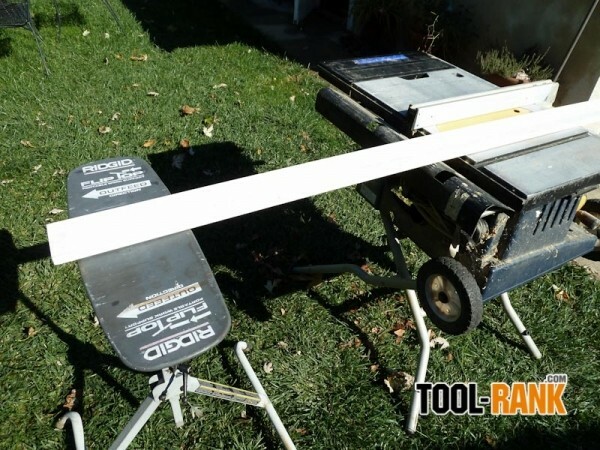 If you are not careful and your rollers roll too well, your freshly cut piece could roll off the stands and onto the floor. Not of these issues are a problem with a flat smooth table top. 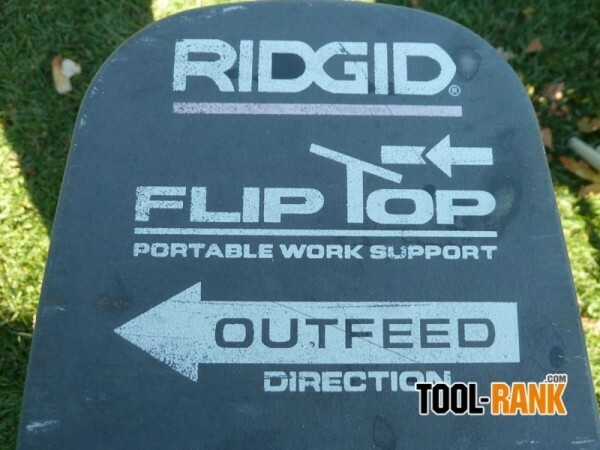 The best feature of the Flip Top, is what gives the Ridgid support table its name; it is a simple feature that allows the table top to pivot forward and remain forward when there is no material on top of it. What this feature does, is allow the table to scoop up material that might normally droop below the adjusted height of the table top. When your material hits the Flip Top, it simply pivots back to the normal position. 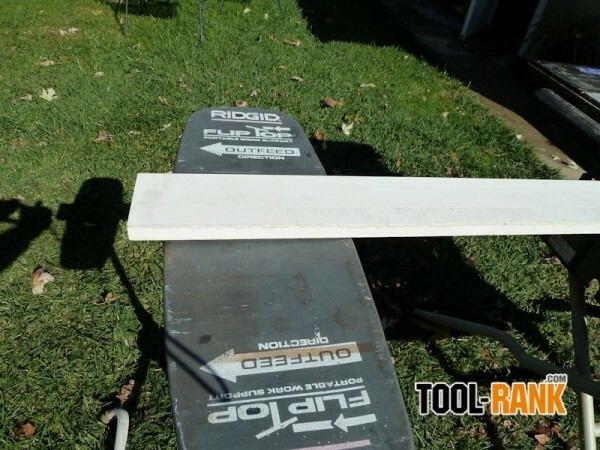 With this feature you don't even have to get the table height exactly right; if it is a little high or a little low, the Flip Top will still do a good job of supporting whatever it is you need it to support. The Ridgid Flip Top Work Support has a load rating of 200 lbs and its height can be adjusted from 27-inches up to 45-inches. It is constructed out of thick-wall tubing, and for me, it has held up well over the years. I would say the weakest part of the Flip Top is the cast aluminum height adjustment-knob; the one on my Co-worker's stand broke after a few years. The stand does come with a 3-year warranty, and it looks like Ridged has made some cosmetic changes over the years, so this might be a non-issue now. The Ridgid Flip Top is a great buy at around $30. The Ridgid Flip Top is a great little support stand that solves a few problems that plague all other out-feed stands on the market today. It is perfect to use with miter saws, table saw and many other bench top power tools. 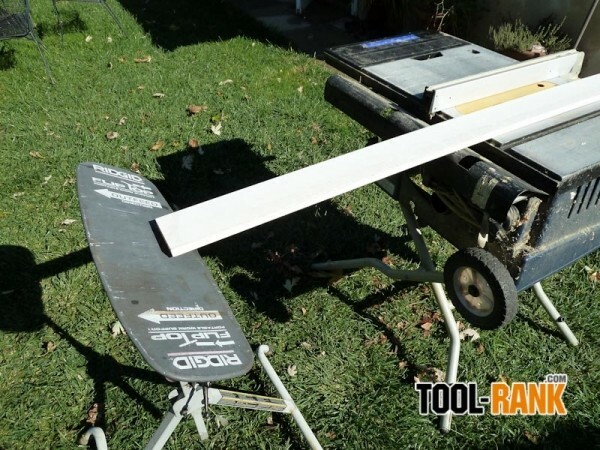 It can be used on the jobsite or in the home workshop.